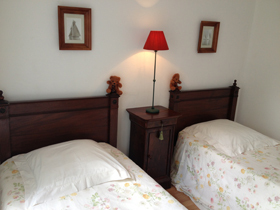 The bedrooms are located in an enclosed and a 3 hectares park with trees, each with an independent entry. 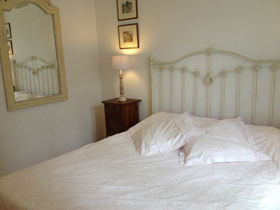 The blue bedroom: a double bed with private shower room ( including toilets), upstairs. 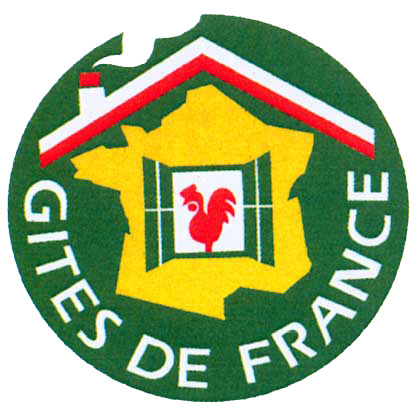 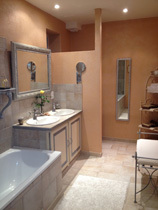 Click here to see the photographs. 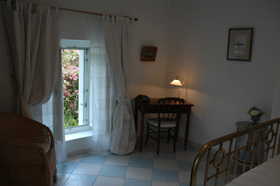 The apricot-coloured bedroom: a double bed (160 cm) with private bathroom ( bath, toilets ) and fire place, located on the ground floor. 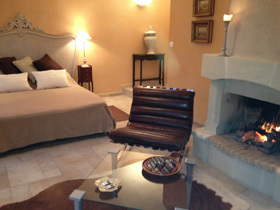 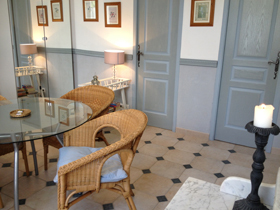 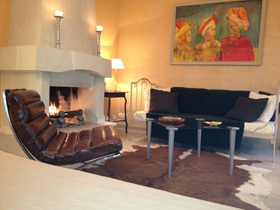 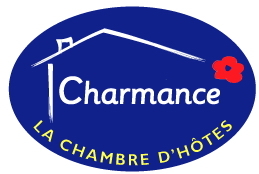 The suite : for 4 people consists in 2 bedrooms: one with a double bed ( 160 cm ), the other with 2 single beds ( 90 cm ). 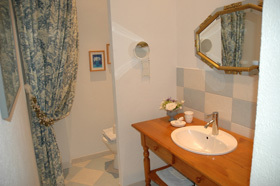 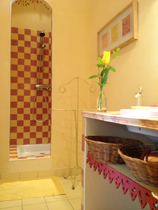 Shower room, toilets, living room with kitchenette.